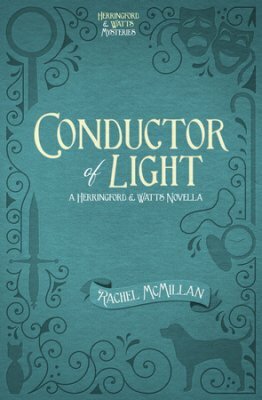 I have come to adore the world that Rachel McMillan has created with Herringford & Watts! Female detectives, turn of the century excitement and discoveries, Toronto, humour, mystery, romance, and so much more! My review for this book will remain short since it would be too easy to give too much away. However, I will say that I did enjoy the format of this fun story. Written as an “”Adventure in Four Acts”” it sets the stage for the readers in a very literal way. It still reads like a regular book, but with Acts and Scenes instead of chapters. Throughout the book there are many beautiful descriptions which make me feel as if I am walking along the streets of Toronto instead of curled up under my blanket. As an avid fan of Ms. McMillian’s work, I can not recommend this story enough. You will be thrilled to the core with the adventure laid before you. Can you solve the mystery before Jem and Merinda do? Find out for yourself today!